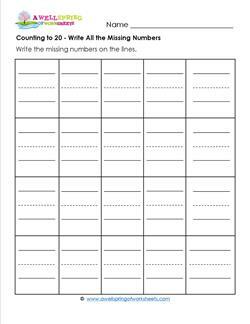 Want practice counting by 2's? 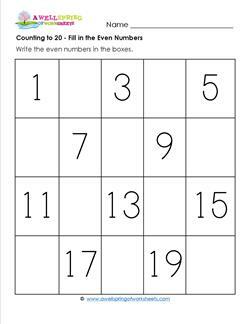 Well here you go! 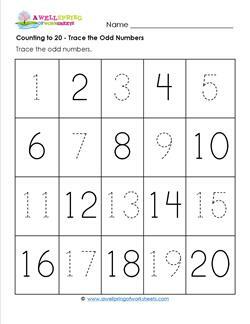 But also, you can count by 1's to 20 and write odd numbers neatly on the lines. This is just way too cool! 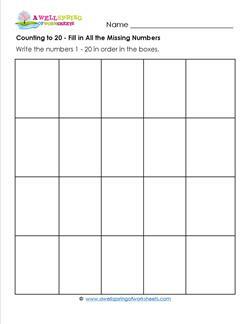 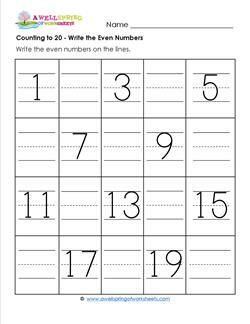 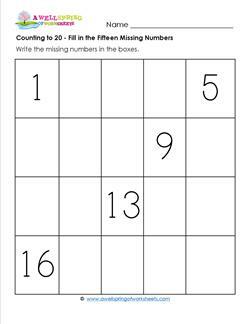 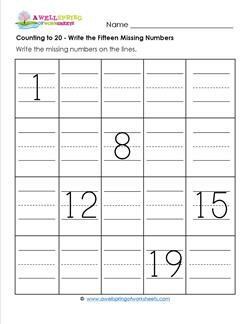 This counting to 20 worksheet would be awesome to use for assessments on several levels - improvement in counting to 20 and number writing skills. 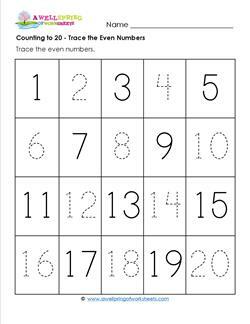 You can throw some dice and say if the numbers are even or odd, or ... you can use this counting to 20 worksheet to identify evens & odds up to 20. 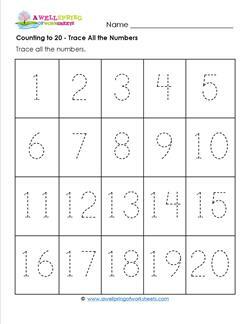 In this worksheet kids don't have to write neatly on lines or trace the numbers. 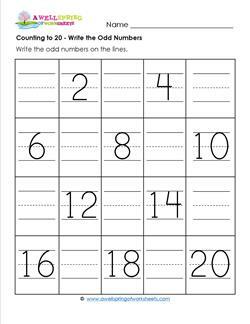 They just get to count to 20 and write the numbers to their best ability.